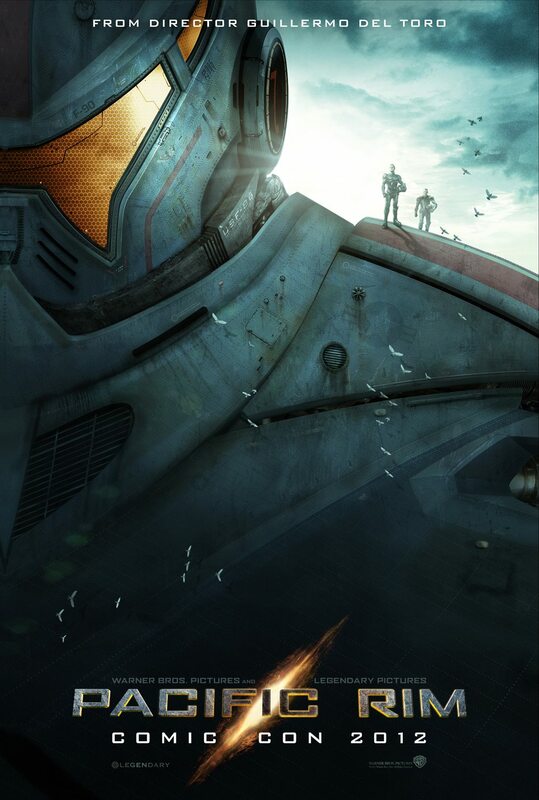 A poster for Guillermo del Toro’s Pacific Rim has surfaced online showing off more than expected. Not only do we get a look at one of the mechs used to fight against the monstrous threat, but we get to see its massive scale with the pilots perched on its shoulder. We can expect more information on Pacific Rim this Saturday at Comic-Con in Hall H — you can already tell where you’ll find me, right? Right. What’s that? Your interest is piqued and you want to read the official synopsis too? Pacific Rim is slated for release July 12, 2013.